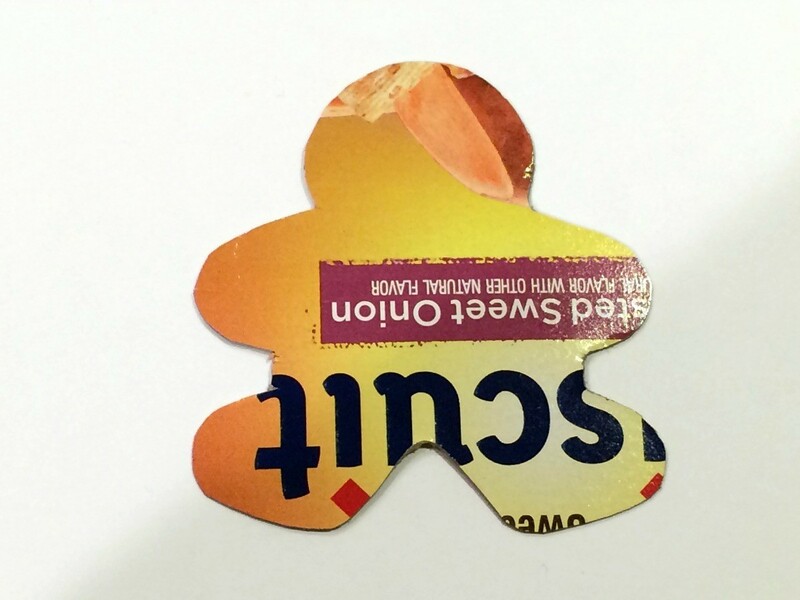 This little gingerbread man would look adorable on anyone's tree for Christmas. 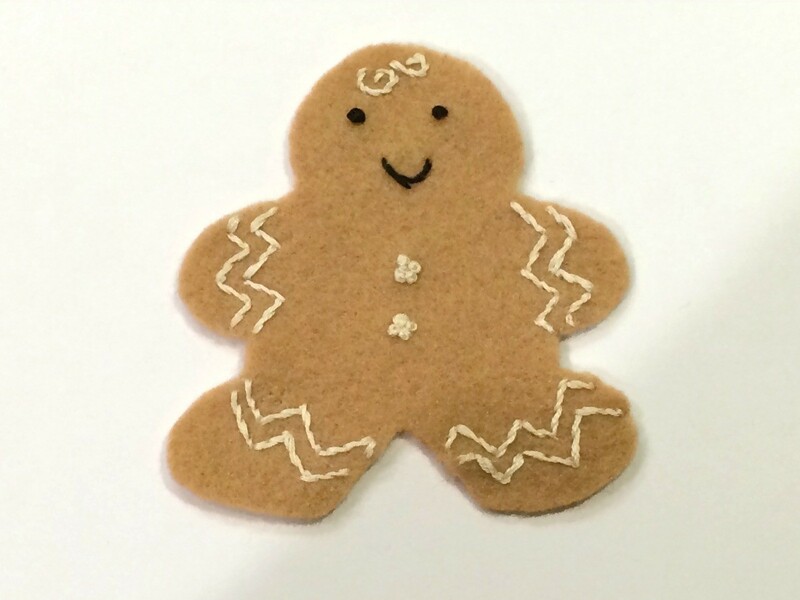 Draw a gingerbread template on a piece of cardboard. The easiest way is to trace a cookie cutter. Cut it out. Hold the template to the felt using rolls of tape and cut out the shape. Use white and/or black embroidery floss to create "icing" details. I used backstitching and French knots.